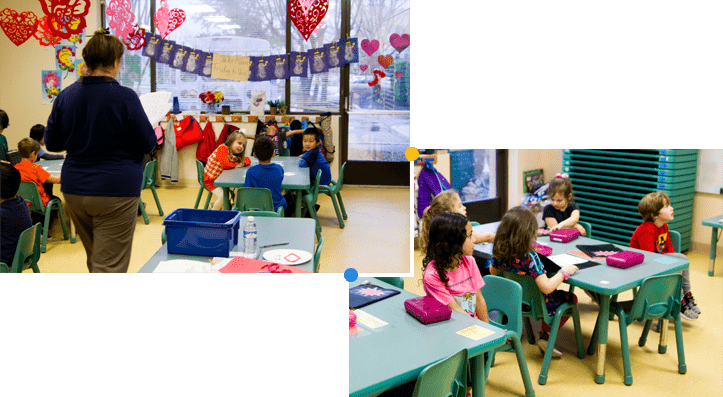 Choosing a child care facility is one of the most important decisions you'll make. When you learn more about TLC Schools, that decision will become a lot easier. Give us a call and speak with one of our highly-trained staff members. See for yourself why TLC Schools is the best Plano child care facility. Make a difference in your child's early education and development. At TLC, we want your child to thrive in a nurtured, loving environment giving them a solid foundation to learning. Learn more about our classrooms, available for ages 6 weeks old up to 5 years old, or our After School Program and Summer Camp. Sensory building, High-Reach & Abeka curriculums, Sign language, Spanish, and more. 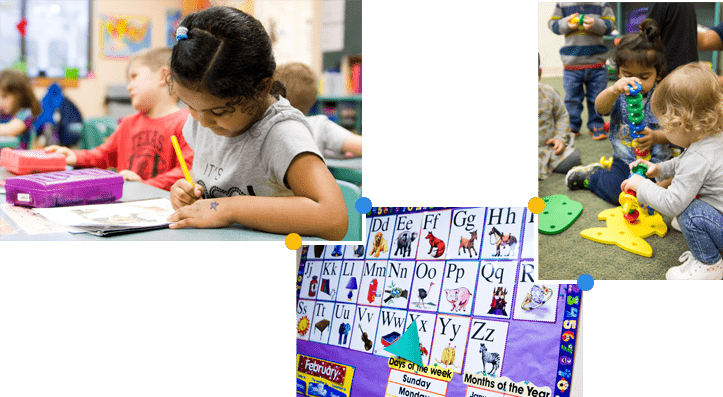 Our early education curriculum includes a wide variety of active learning tools such as computers, Spanish, age-appropriate manipulatives, arts and crafts, books, and dramatic play areas. Years Voted "Best Childcare in Plano"
"Thank you TLC for having EXCELLENT staffs and teachers for great teaching and nurturing! Everyday our son comes home with little notes saying what he did and I find that really helpful and comforting to know how well he does! I can't thank you all enough!" "My daughter learned and shows kindness and compassion from her teachers setting the example and enforcing what a good friend is. I truly believe she will go far in life because of the love she has for learning that all started at TLC." "We feel our children’s level of education, maturity and their love of learning has been strongly influenced and molded by the TLC team. Your curriculum, small class size and focus on development, coupled with your patient, innovative and highly trained teaching staff make you THE premier environment for parents who want the best! Your entire staff was involved in developing our children and we are grateful for your team!"